After West Bengal Development Minister Rabindranath Ghosh was caught on camera slapping a BJP polling agent when the voting for the panchayat polls was on in the state, the saffron party has demanded his immediate arrest. However, Ghosh defended himself saying the BJP worker was escaping with a ballot box. In the video that was being aired on TV channels and shared on the social media, Ghosh is seen outside a crowded polling booth talking to the BJP worker in the presence of a security officer. After being slapped, the BJP worker is seen being escorted out of the place. Meanwhile, voting was stopped at a polling station in Murshidabad after ballot papers were thrown into a pond following a clash between TMC and BJP workers. Incidents of violence were reported from across the state. Within less than two hours after the polling began, the State Election Commission received complains of violence from at least four districts from different parts the state and has asked the police to take action, SEC officials said. The SEC is conducting the panchayat election. Violence broke out in North 24 Parganas, Burdwan, Coochbehar and South 24 Parganas districts. In North 24 Parganas, the BJP accused the ruling Trinamool Congress (TMC) of letting loose a reign of terror in several parts of the district, especially in Amdanga area. A few people were injured when clashes broke out between two groups, SEC sources said. Senior minister Jyotipriyo Mullick denied the involvement of the TMC in the incident and accused BJP of terrorising the voters. In Dinhata area of Coochbehar district in North Bengal, a few voters were injured after clashes broke out between two groups outside a polling station, the sources said. The voters later on lodged a police complaint. Violence was reported in Burdwan districts too. The opposition CPI(M) and BJP had accused the TMC of terrorising voters and hurling bombs outside polling stations. The TMC has termed the allegations as baseless. 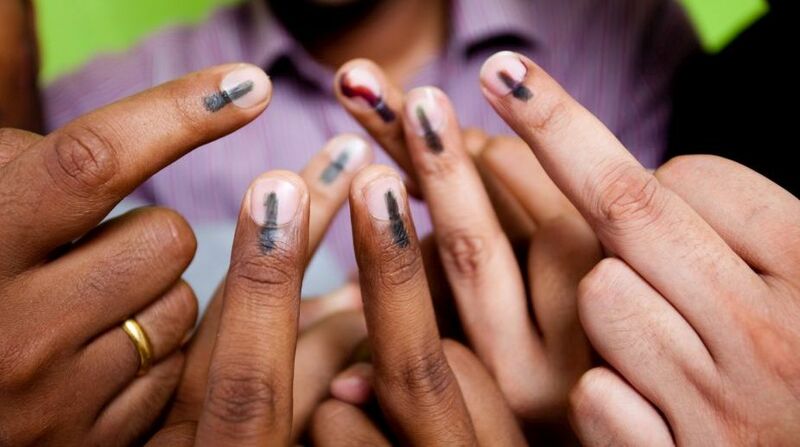 After a protracted legal battle in the Kolkata High Court and the Supreme Court involving the Sec, the TMC and the opposition parties, the three-tier panchayat polls in is being held in the state.